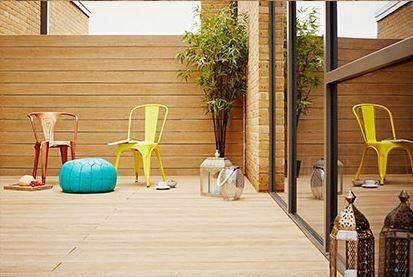 Often the ideal outdoor space will incorporate more than just a lawn. Whether you’re looking to create a play pit and make your garden child-friendly or you’re incorporating paths and walkways in a larger outdoor space, we’ll be able to help. Our products are ideal for broadening the use of space to make it multi-purpose and suitable for all to enjoy. Our Ornamental bark is suitable for decorating flower beds and borders and can be used in play and recreation areas. As well as being visually appealing ornamental bark will help suppress weed development and aid moisture retention. Ornamental bark is produced from pine and is typically sized between 8-35mm. 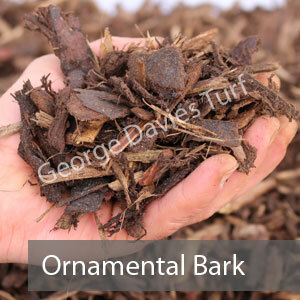 Ideal for building a play area or play pit for children, this bark will provide a soft landing. It has great aesthetic appeal as well and is perfect for balancing safety with style. 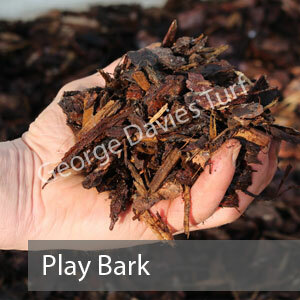 The play bark which we supply is totally geared up for protection – it satisfies British safety regulations and is sprayed with an anti-fungal formula to prevent harmful spores. 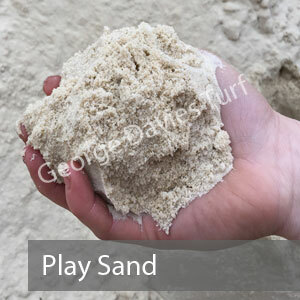 The play sand which we supply is suitable for children’s play areas as well as sports jump pits. It’s washed and non-staining to make it safe and clean for use. The pale off-white colour is attractive and won’t look out of place amongst other garden or outdoor features. 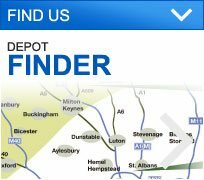 Certified to British Standards, you can be assured of quality and safety. 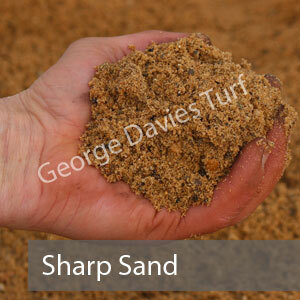 Sharp sand is a useful tool for keeping existing soil healthy, allowing it to drain properly to prevent waterlogging. It can be used with naturally wet soil or during exceptionally wet weather conditions. Laying turf when the ground is too wet can be detrimental to its future health and using sharp sand will help to prepare the earth for the process. Speak to the team here at George Davies if you’d like any more information on our barks or sands.